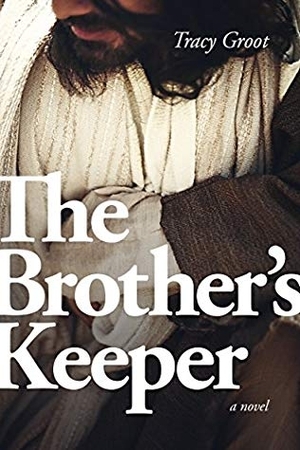 The E-book of The Brother's Keeper is available for $1.99 for a Limited Time!! England, 1940. Clare Childs knew life would change when she unexpectedly inherited the Maggie Bright—a noble 52 foot yacht. In fact, she’s counting on it. But the boat harbors secrets. When a stranger arrives, searching for documents hidden onboard, Clare is pulled into a Scotland Yard investigation that could shed light on Hitler’s darkest schemes and prompt America to action. Tracy, a founding member of the Breathe CWC, is thrilled to announce Jocelyn Green as this year’s Keynote Speaker. “Jocelyn inspires faith and courage as the award-winning and bestselling author of numerous fiction and nonfiction books, including The Mark of the King; Wedded to War, a Christy Award finalist in 2013; and The 5 Love Languages Military Edition, which she coauthored with bestselling author Dr. Gary Chapman…” (more). To find out more about the conference speakers, sessions and registration, or to win a FREE scholarship to this year’s conference, click here. So: Yes! It's been too dang long. But like Jesus, I'm alive and well. To prove it, here's a link to a swank deal on The Brother's Keeper, whole darned month of April: A buck ninety nine for an ebook version. Why, you can't get a side of mac and cheese at a decent bbq joint for that. There we are, Jack and I, walking on the beach of the Sea of Galilee. The whole trip I'm oohing and aahing over a stone Jesus may have kicked. Jack bore my non-stop ruminations--"Jesus may have walked THIS very road! Jesus may have touched THAT stone!" Jesus may have sat on THIS hill!" --with patience. Until we got to the Sea of Galilee. We're walking along on that famous beach, and I stop to look behind at our footprints. Affectionately, I say, "Look! Jesus may have walked RIGHT THERE!" I hear a mildly strangled sound. I look. It's Jack, who'd finally had it. "Trace." He put his hand on his chest. "Jesus walked HERE." I was all ooey gooey about every footfall in Israel, from the moment we landed in Tel Aviv until, well, that stroll along the Galilee. Jack brought things into clarion perspective. Yeah, it was cool: I ate the best kebab ever in Nazareth. Encountered a Chihuly exhibit in Jerusalem. Bought souvenirs in the souks. All the time wondering if, two thousand years later, my footfall landed on the footfall of Jesus. But you know what? Jack had it right. Wherever Jesus walked here on earth, he walked in the place where Jack pressed his hand. And that made all the difference. Check this out!! Get a copy of Brother's Keeper during the month of April for $1.99...and this is no April Fool's joke. Share it with your reader friends!! File this one under: Well, I'll be! Guess what?! See this photo? You know the contest I entered a few months back, the Hudsonville Photography Contest? My pic won first place in its category! When I found out, I may have shrieked. A little. Just wanted to pass it on. Gracious, all the crummy stuff going on in the world, it's kinda nice to have something really fun to say, and to look at something that may remind us to look up; there's beauty yet in this world. Well, I reckon that's it for today. File this one under: Tesser well, little Book Thief. Lovers of A Wrinkle in Time, celebrate with me Madeleine L’Engle’s 100th birthday! The grand dame of children’s science fiction was born on November 29, 1918. I’d like to mark this event with a story of thievery. When I was in the sixth grade, I had a teacher we will call It. One day, this teacher spanked me on the playground when he alleged I did not turn in my homework. I followed him into the school, and showed him my homework: on his desk. Did I get an apology from Mr. It? No. Even 40 years ago, it was unheard of for a teacher to spank a student. I plotted revenge. I would steal a book. Note: I was not yet a Christian and had no real scruples about theft. Even if I was a Christian, then according to the verse “Vengeance is Mine, I will repay”, I may have considered myself God’s little helper. Well, you may imagine this Book Thief rubbing her hands in diabolical glee, for no Tiger Beat magazine, or Judy Blume or Eight is Enough novel would do: A Wrinkle in Time fit the bill, and must be liberated from It. I carried out the caper, and in the eyes of a 6th grade vigilante bent on justice, evened the score. Note: I do not condone the liberation of books from teachers—unless you’re a kid spanked by It on the playground. Then all bets are off. RAID those shelves! Ha ha ha!! Now you’ve heard about It. Let me tell you about the Nemesis of It. Just a year earlier, same school, there was a teacher who specialized in teaching the mildly miscreant—a.k.a., yours truly. Miss Zimmerman taught us digestion by bringing in a plastic Ziplock bag which she passed around at lunchtime and had each of us mild miscreants put in one bite from our lunches. She added water, and squished the bag to show what the stomach did; I was astonished. It was the first time I learned something not by rote. Miss Zimmerman taught me how to crochet in an after-school program. I crochet to this day. Miss Zimmerman treated kids with patience and respect and kindness—miscreant or not. Then Miss Zimmerman went on to win eternal adoration when she read A Wrinkle in Time aloud to us. I still remember her intonation of It’s cadence: “Once one is one. Once two is two….” Gloriously chilling! In that case, you tessered well.